1. They increase their chances of being admitted to the colleges they’d most like to attend, since college admissions committees see that they’ve already opted to take the toughest academic road in high school. 2. As high school seniors, they’re stronger candidates for the free money merit aid that colleges extend to highly qualified applicants they are especially hoping to attract. 3. When they get to college, they aren’t usually asked to sit through (or pay for!) expensive remedial classes that give them no actual college credit. 4. They walk onto their eventual college campuses with confidence. They know how to organize themselves to accomplish college-level work, because they’ve already had substantial experience with it. 5. They may be able to move an entire year (or two) sooner into the more advanced, more interesting college courses that apply most directly to their future career fields. 6. They will have the option of being able to take somewhat lighter class loads each semester they’re in college and still graduate in four years or less. They’ll still qualify as full-time students, but they won’t need to pack every semester tightly with classes in order to earn all the credits necessary to graduate on time. They’ll end up with more time each semester to work on their more advanced classes, and they’ll also have more time available for the committed volunteering and interning in their career field that is so important to their future career success. 7. They typically save massive amounts of money on college costs. The majority of the time, real college courses will transfer to the student’s future undergraduate institution. And if they don’t for some reason? The student will still have enjoyed a rigorous, enriching academic experience during 11th and 12th grades, and that will give him or her a strong foundation on which to build later. Learn why financial planners buy this book for their clients here. 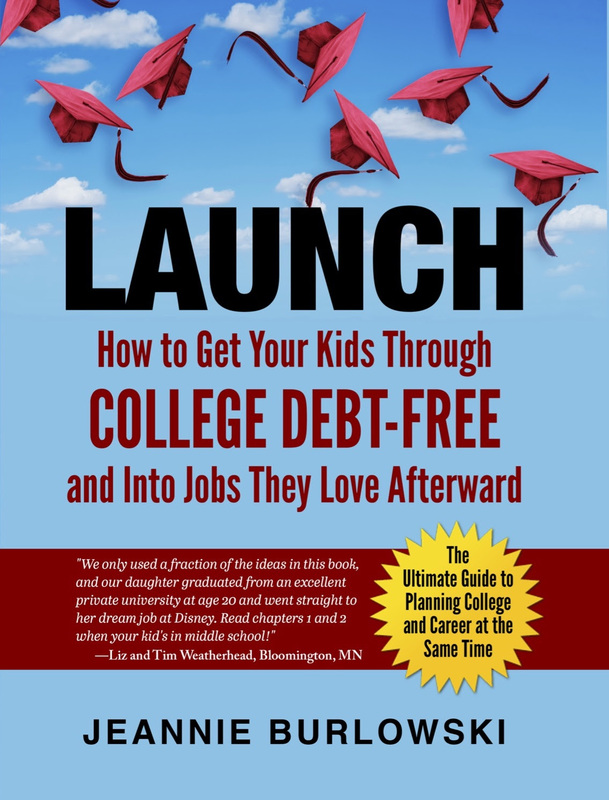 See the “Top 9 Questions Parents Are Asking Me About LAUNCH,” here. Do you have friends who are parenting kids in grades 9 -11? What strategies have you found for earning inexpensive college credit that actually transfers? 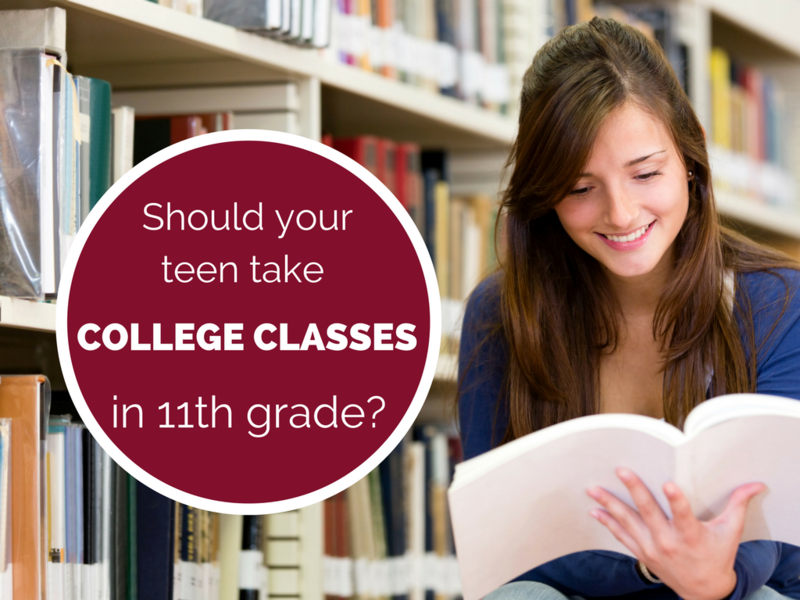 Did you or your child take college classes in high school? How did that go? Comment below or LIKE Jeannie Burlowski Author on Facebook, find this post on that page, and let’s talk about it there.